Fish in our Stormwater Ditch? Like many of the streams and creeks in Florida, Phillippi Creek is largely shaped by its stormwater canals. Back in the 1920’s large scale drainage projects began to forever change Florida’s waterscape. Natural waterways were diverted by canals, drainage ditches, and retention ponds to make space for homes and businesses. Although these canals were designed to carry water off the land as fast as possible, over time, fish have found their way back into the upper most parts of these canals. Today, scientists are catching and tagging various different kinds of fish from the mouth of Phillippi Creek all the way up into the Celery Fields. 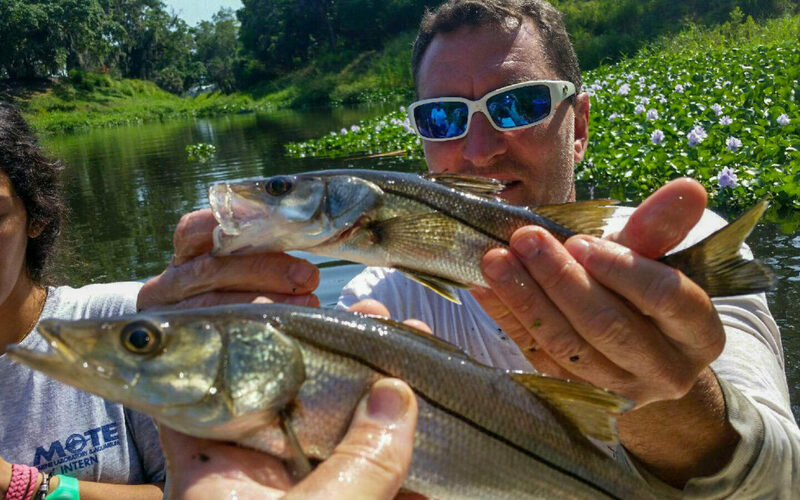 The most recent findings, led by Mote Marine Laboratory scientists and supported by the Sarasota Bay Estuary Program, have identified important game fish, like largemouth bass and snook, as well as mosquitofish, tilapia, grass shrimp, killifish, and sailfin molly in the upper part of Phillippi Creek, which is mostly dominated by man-made canals. They also noted that areas where there are curved channels, wetland plants, or slower moving waters, tend to have more fish, as these sections better resemble how natural creeks would look and feel. Most of the fish found in Phillippi Creek are young, or juveniles, which is a particularly vulnerable time for a fish. This may help explain why shallow, slower moving areas in the creek are particularly popular. They offer a place for small fish to grow without having to fight against the current, and they provide a place to escape from bigger predators. The more scientists study Phillippi Creek, the more evidence they are finding to support how important tidal creeks (even those that were highly “ditched”) are for fisheries and other wildlife as well. 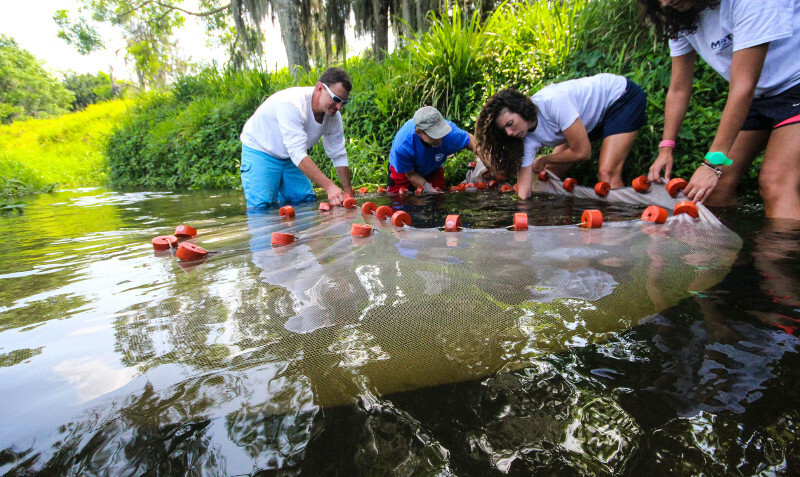 (Read about Mote scientists releasing snook into Phillippi Creek). This research is not only exciting for the weekend angler and wildlife enthusiast, but it also has implications for how counties might be able to manage stormwater and restore streams at the same time, creating a win-win-win for flood protection, habitat restoration, and fisheries/wildlife.